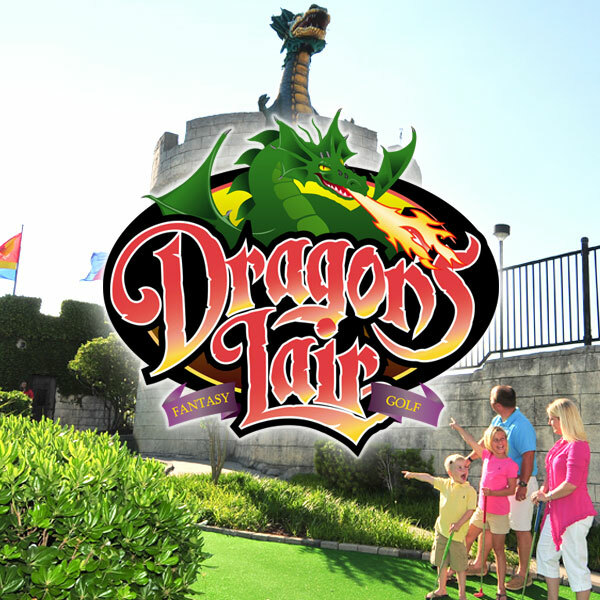 Once upon a time, Dragon’s Lair was a wondrous castle in the magical kingdom of Myrtleness and ruled by the good King Merrymount. For days after a terrible earthquake, fires burned, thunder rumbled and the castle was flooded by streams. 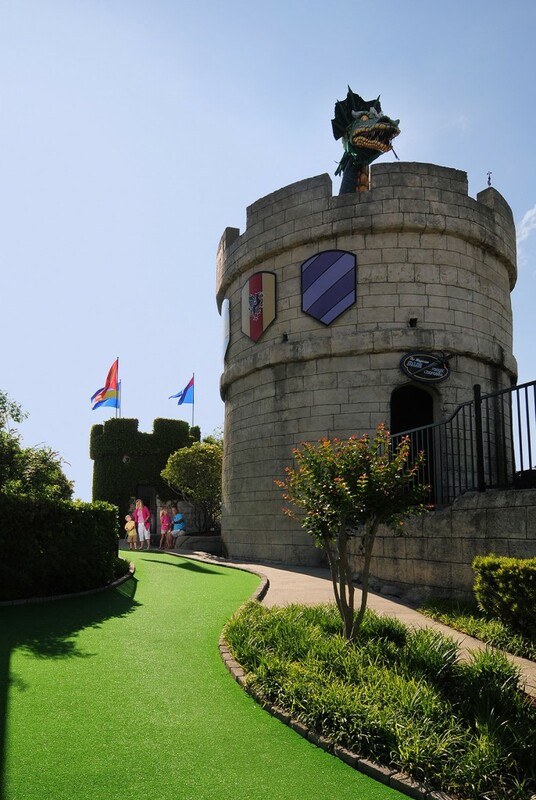 Because the people of Myrtleness were so afraid, the king summoned his magician, Avalon, to help save the kingdom. 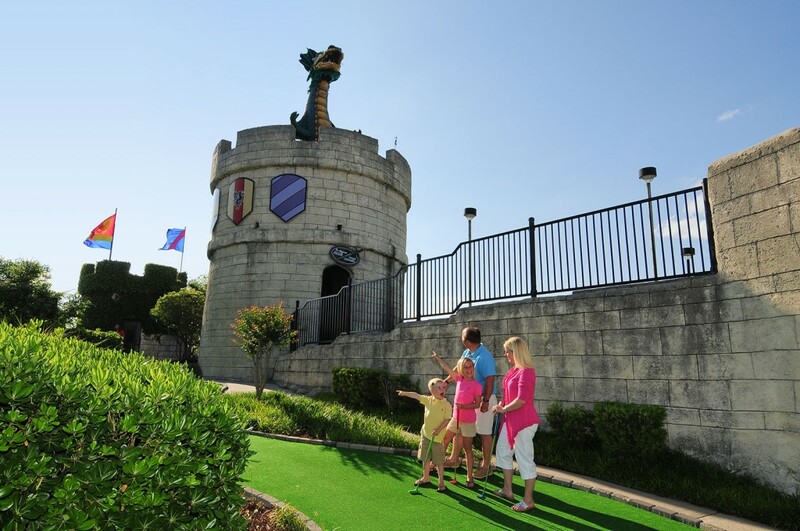 Upon Avalon’s command, a fire-breathing dragon appeared in the sky and made his home in the tower of the castle. 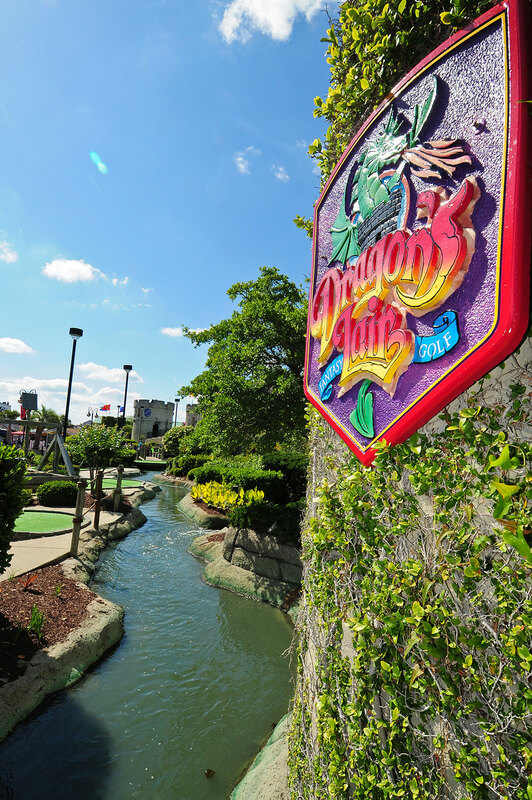 From here the dragon protects our friends and enemies are frightened. 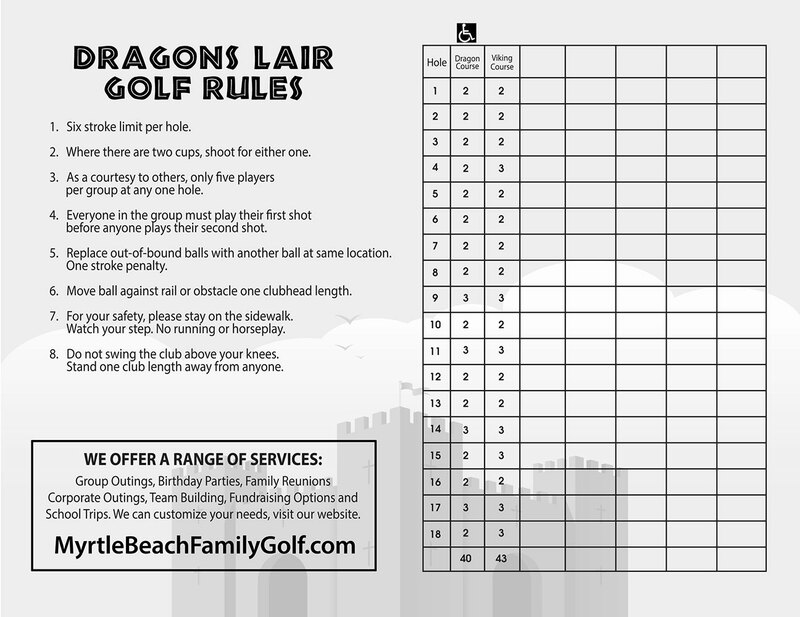 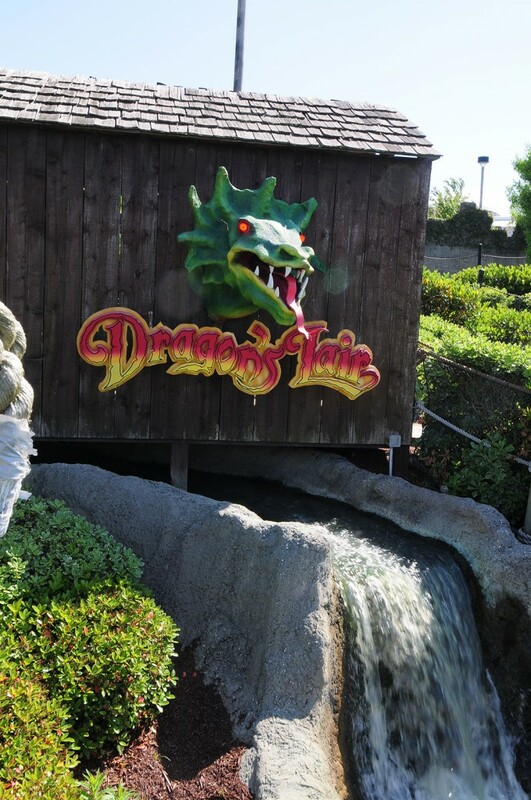 From a wondrous castle in the magical kingdom of Myrtleness to 36 holes of mini-golf in Myrtle Beach, Dragon’s Lair Fantasy Golf takes you on a journey through the Dark Ages. 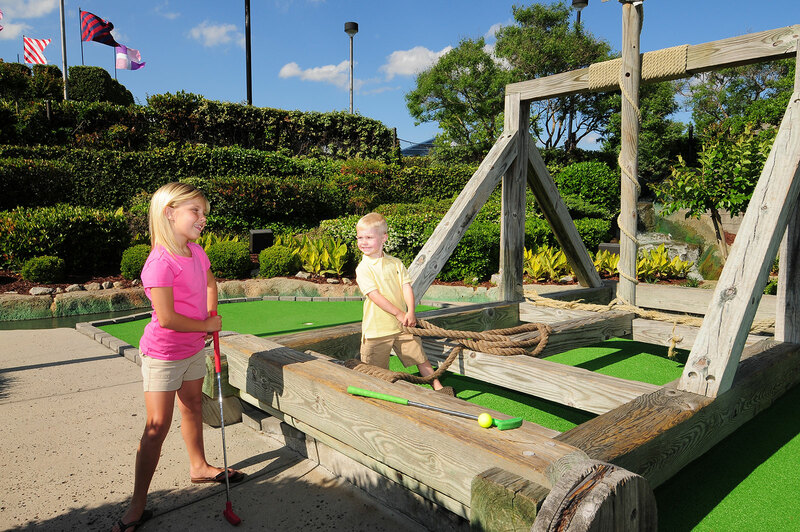 Those fearful times, however, are no more. 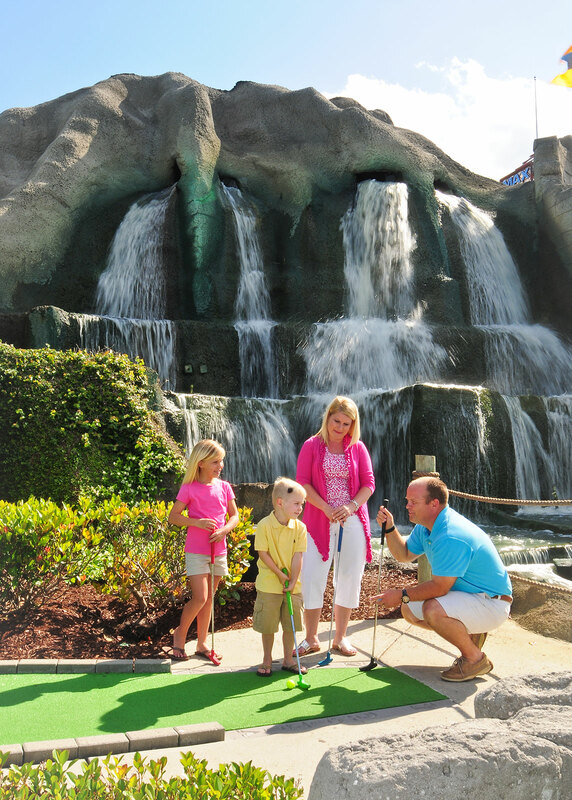 Instead, a new era of entertainment and enjoyment abound in Myrtle Beach, SC. 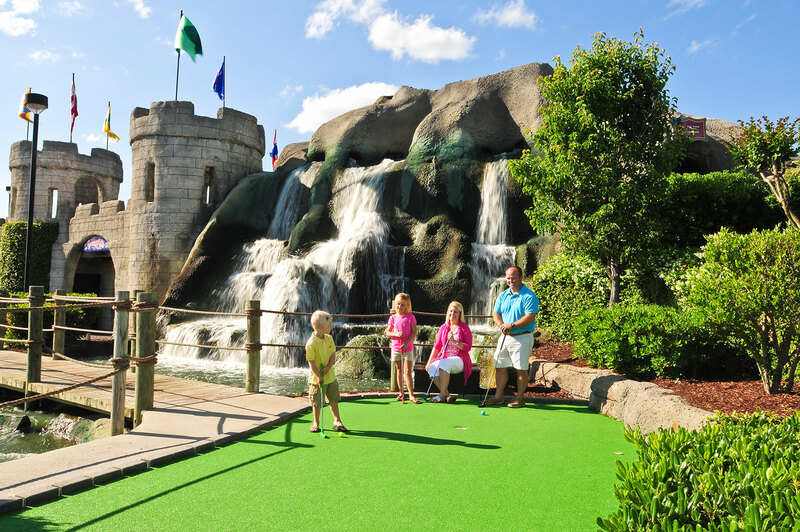 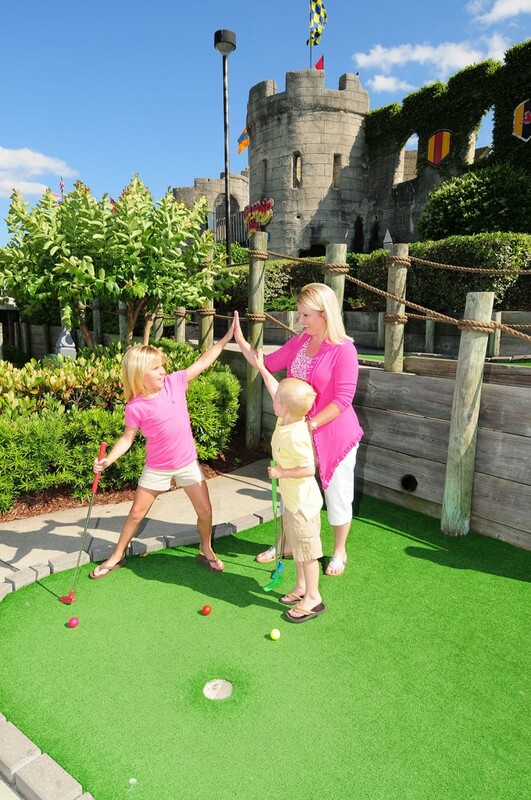 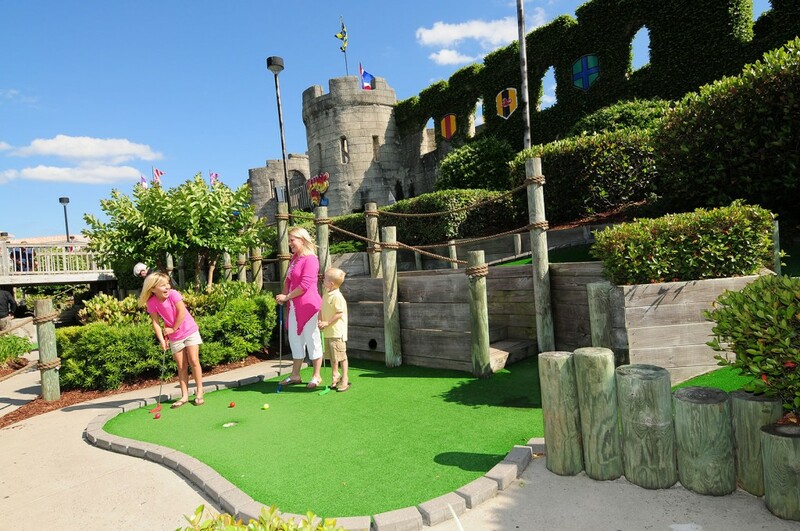 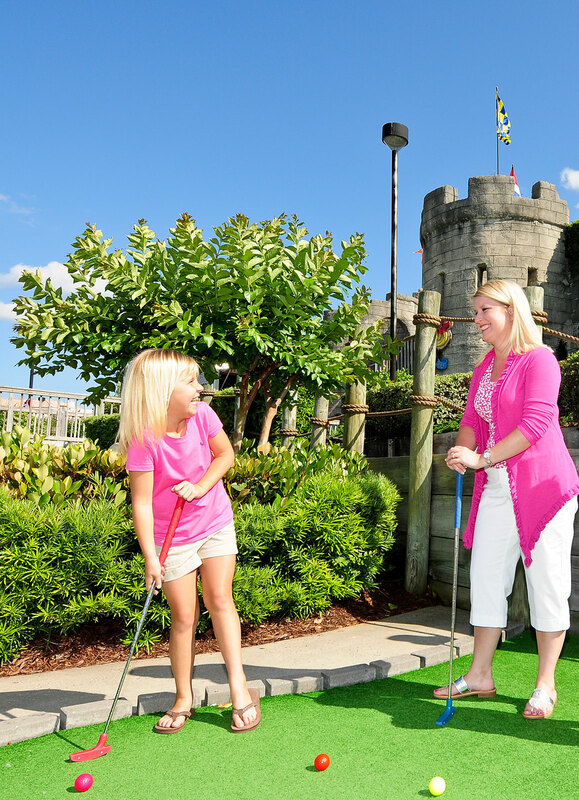 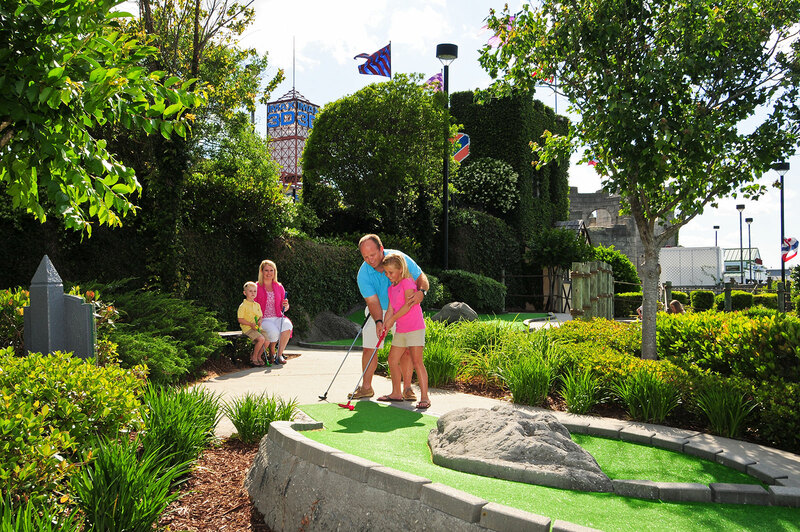 Here, as you putt your way through the mini-golf in Myrtle Beach kingdom, you will cross bridges and streams, meander through the castles and caves and go aboard a treasured Viking ship. 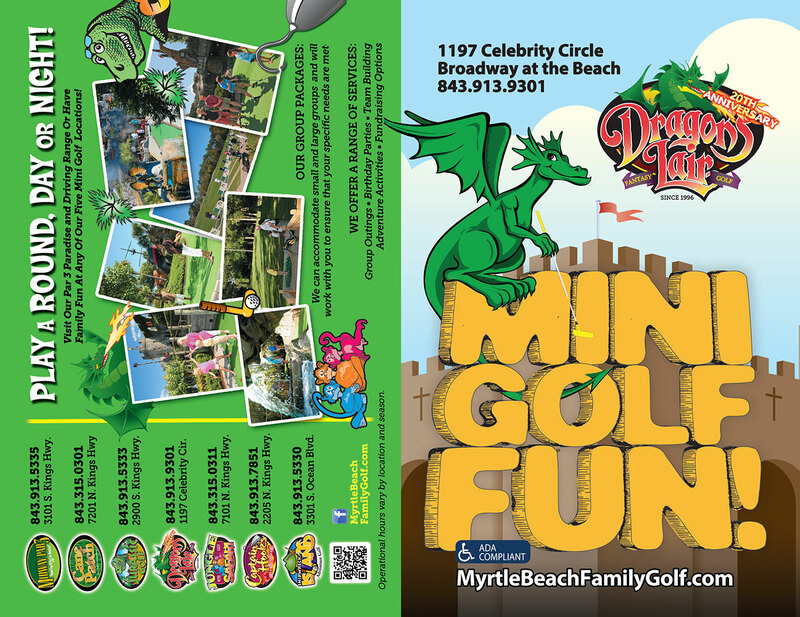 But your most exhilarating experience will be the first-hand encounter with the ferocious, fire-breathing dragon, Sir Alfred, who serves to protect all of our friends and guests throughout our Myrtle Beach mini-golf kingdom.